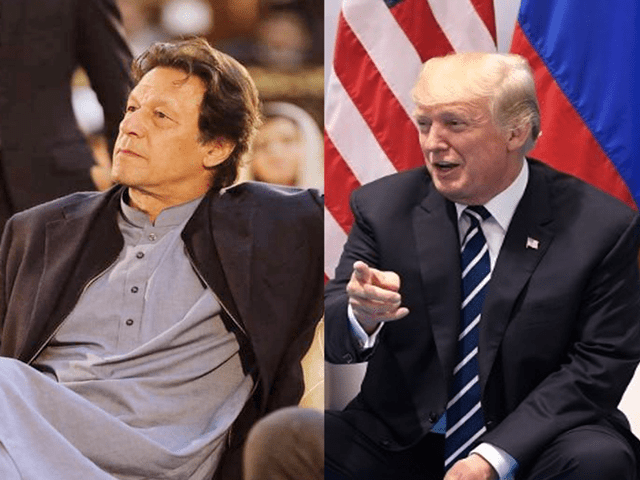 US president Donald Trum has acknowledged Pakistan’s unprecedented sacrifices against terrorism against the Afghan war after changing threats and pressure failure. And Prime Minister Imran Khan has called for the help of Pakistan to bring Taliban to the negotiation table in his first letter. Imran Khan said senior journalists and anchor pays meeting on Monday morning, saying this letter was very positive. In this matter, the whole faith is sure to cooperate the Foreign Ministry spokeswoman also finds new opportunities to work together by the United States on this issue and Pak; America welcomed the desire of renewal of renewal. The whole world knows that in the war of Afghanistan, the US dragged Pakistan into which Pakistan had to face the biggest war in terror in the world. In this war, Pakistan suffered a loss of $ 25 billion, except for the loss of more than 75,000 human lives. President Trump, ignoring such a big sacrifice, blamed Pakistan in his own TV interview and later released tweet. That he did not even do anything like sandstone to the US regarding the Afghan war. The Pakistani leadership, instead of apologizing, strongly responded strongly, the relations between the two countries became suspicious. But it is a good thing that the US president initially said that I will not return my words every time, working with intelligence changed its position and recognizing Pakistan’s services and sacrifices asked for help from Islamabad to encourage the Taliban to participate in the reconciliation process. The US President wrote his most important priority in the written area to find a political solution through the negotiation process of the Afghan issue. It is the position that Pakistan has kept since its beginning, but some of the end of the region are keen on the disappointment of power forces. The US and the Kabul government continue to use the power that Pakistan has no opportunity to go to hand. Now, while it’s devastating results are inevitable, and the American people are unaware of this unnecessary war, The US government also wants to get rid of it, America understands that the Taliban is Pakistan’s influence that’s why they can bring them to the negotiation table, although this is not entirely correct. It is proof of Taliban attacks in Pakistan, especially Khyber Pakhtunkhwa and Balochistan areas, which has lost many precious lives. The US is pushing the Taliban to talk directly to the Kabul government, while the Taliban leadership believes that their real opponent in Afghanistan is America. Kabul rulers are just her puppets. Their biggest demand is the withdrawal of US forces from Afghanistan, which is not currently ready for the US, on the contrary to the problem, Zalmay Khalilzad, a special representative of US government for Afghanistan, has reached Islamabad. During his 19-day visit, he will also go to Russia, Uzbekistan, Turkmenistan, Blaze, the United Arab Emirates and Qatar. Because these countries can play some role in the role of the Afghan issue. With positive indications from the US, contacts have been established in Pakistan and US officials Taliban leader Mullah Baradar has been released on the desire of US to make talks with Taliban Now, while the US President has taken a positive attitude, it can be expected that the basic demands of the Taliban will be given attention. This will facilitate finding a solution to the Afghan issue by negotiating with the help of other countries of the region, that the peace of Afghanistan is only the peace of the region. Prime Minister Imran Khan, Why contradictions in the words and verbs? © 2019 News Time. All rights reserved.